The song “Earth Angel” is classic doo wop music. “Earth Angel (Will You Be Mine)” was written by Curtis Williams, Jesse Belvin, and Gaynel Hodge (uncredited). 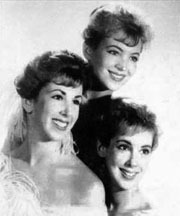 (For those who like music history, Williams was with the group The Hollywood Flames and was on their record “Buzz-Buzz-Buzz.” Please click here to read more and listen to “Buzz-Buzz-Buzz.”. Gaynel Hodge was also with The Hollywood Flames, The Platters, and The Turks. Hodge wrote and performed for many aritsts.) 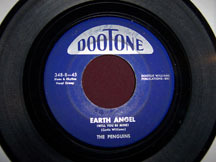 Anyway, back to this song, The Penguins released “Earth Angel” in 1954 on the Dootone label. It was the B-side to “Hey Señorita,” but it soon became much more popular and reached #1 on the Billboard R&B chart in 1955 and #8 on the U.S. Pop chart. It was also featured in the film Back to the Future. Since its release, there have been many covers. However, the version of “Earth Angel” by The Penguins is ranked #152 on Rolling Stone’s list of the 500 Greatest Songs of All Time. Another honor is from The Library of Congress, which added “Earth Angel” in 2004 to the National Recording Registry. The group was from Los Angeles and consisted of Cleveland Duncan, Curtis Williams, Dexter Tisby, and Bruce Tate. They got their name from the advertising icon for Kool cigarettes — that is, Willie the penguin. Also, there were a number of bird groups at the time, including The Orioles, The Ravens, The Crows, The Falcoms, The Penguins, The Wrens, and The Flamingos. 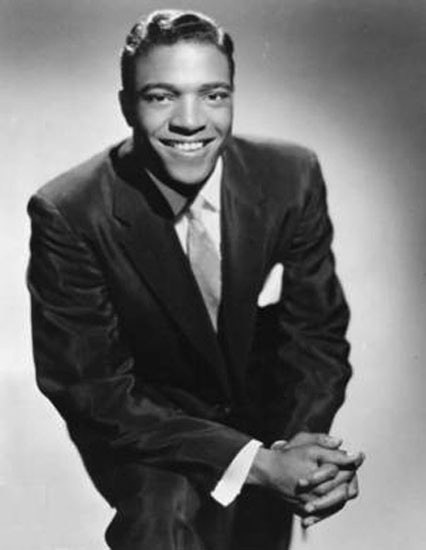 The Daily Doo Wop Rec Room has daily featured doo wop, rock and roll, R&B, or rockabilly songs that were hits during the first era of rock and roll (that is, from about 1952 until the British invasion in 1964). After a song is featured, it then goes into the juke box. You are welcome to listen to any of the 40+ selections there. Every weekend, there is a Golden Oldies Juke Box Saturday NIght, and the juke box is full of song requests from the 1950s and 1960s. Please click here for our Youtube channel, to which you can subscribe. Thank you for stopping by The Daily Doo Wop. Hope you enjoyed “Earth Angel” by The Penguins. One of the best doo wop songs — EVER. Thx.